It was a Sunday afternoon, not so long ago, and Ron Prince caught up with Bruno Delbonnel AFC ASC over Skype, to discover more about his cinematography work on Tim Burton’s ‘gonzo’ fantasy Dark Shadows. At the time, Delbonnel was in New York, and had just completed a fortnight of nights on Inside Llewyn Davis, the next feature from Joel and Ethan Coen. Dark Shadows, a Zanuck Company/Warner Bros. production, is based on the gothic soap opera of the same name, transmitted on the ABC television network between 1966 and 1971. The original TV series is regarded as a camp classic, distinguished by melodramatic performances, atmospheric interiors, memorable storylines, dramatic plot twists, an adventurous musical score, and an epic cosmos of characters and heroic adventures. 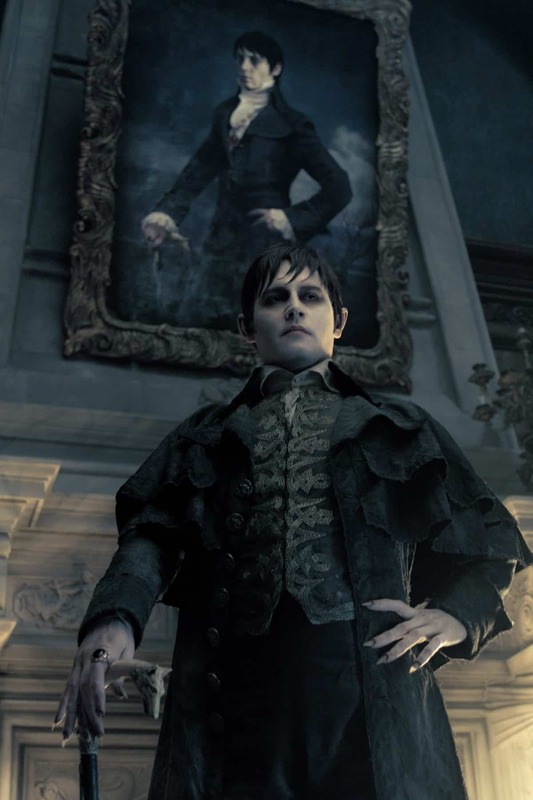 It became hugely popular when 200-year old vampire, Barnabas Collins, appeared a year into its run. Dark Shadows also featured werewolves, zombies, man-made monsters, witches, warlocks time travel and a parallel universe. 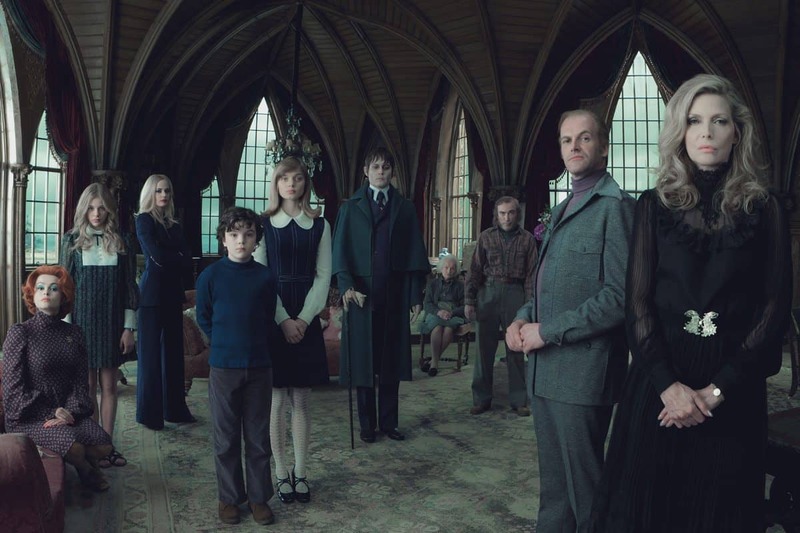 Tim Burton’s new $100m film is based on a screenplay by Seth Grahame-Smith, and stars Johnny Depp as Barnabas Collins, with Michelle Pfeiffer as his reclusive, matriarchal cousin Elizabeth Collins Stoddard, and Eva Green as Angelique Bouchard, a vengeful witch who plots a vendetta against Barnabas and his family. 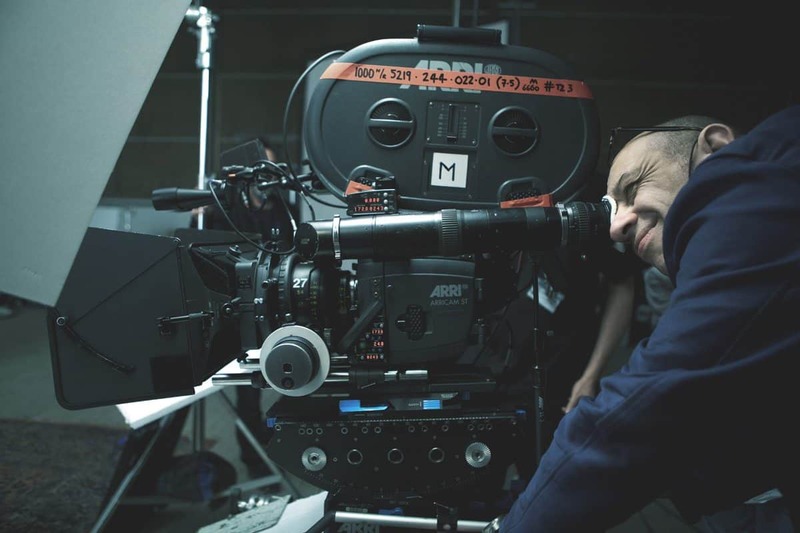 The responsibility of bringing the story to life on the big screen, and delivering a fresh but distinctive look that typifies each movie on the Burton canon, fell to Delbonnel, whose big screen credits include Jean-Pierre Jeunet’s Amelie (2001) and A Very Long Engagement (2004), plus Across The Universe (2007), Harry Potter And The Half-Blood Prince (2009) and Faust (2011). Amongst his many gongs, Delbonnel has been Oscar nominated three times – for Amelie, A Very Long Engagement and Harry Potter – with notable wins including the ASC Award for outstanding achievement for A Very Long Engagement, and the Silver Frog at Camerimage for Across The Universe. Dark Shadows is his first collaboration with Burton. How did you get involved with the production of Dark Shadows? It’s great story. I was in Uruguay shooting a commercial and had two calls within the space of a couple of hours. One was from Richard Zanuck, offering me Dark Shadows, the other from Roman Polanski, who asked if I available to replace Pawel Edelman on Carnage, as Pawel had to attend to some urgent family matters. Two very interesting directors, and two completely different sorts of movies, both on the same day. It was quite a shock. It quickly transpired that Pawel was able to continue on Carnage, and so I went for Dark Shadows. I had met Tim only once before, at the world premiere of Harry Potter And The Half-Blood Prince in London. He told me then that he really liked what I’d done, and I assume that was the reason for the call. What appealed to you about Dark Shadows? The chance to work with Tim Burton. Who could possibly turn down the chance to work on one of his movies – he’s a genius. I had never heard of Dark Shadows before, although I learned it was a famous gothic soap opera, broadcast on weekdays in the US, and they made over 1,200 episodes. But it never made its way across the ocean to Europe. Johnny Depp and Tim Burton were kids when it was on TV, and they’d run home from school to watch the show. I believe Johnny wanted to be Barnabas Collins. What research did you do, and which creative references did you look at? What was Tim Burton’s reaction when you first discussed the look of Dark Shadows? He kind of liked it, but he has his own world of imagination. He’s not very specific, it’s more about a creating a mood, and he wanted creepiness from the first frame to the very last frame – a crisp, colourful but twisted look, to make the audience feel unsure and unsafe about the place, somewhere “in-between”, but totally artificial. We didn’t refer to any of his other films, they are done and in the past. This was something new and different, and that made it even more interesting for me. How much time did you have for prep/pre-production, and what were the working hours? The overall prep time was six months. I originally had two months of pre-production, but this turned into three months as Rick Heinrichs, the production designer, needed more time to deliver the production. So principal photography was pushed back. We started in May 2011 and wrapped on 4th October. The shoot, including second unit, was 18 weeks. We worked regular hours, five days a week. As 95% of the movie was shot on stages, I would go in most Saturdays to see how the sets we evolving. Tell us your reasoning behind your choice of equipment? During my first meeting with Tim we discussed film vs digital, and it took is about two minutes to choose film. We quickly arrived at shooting Super 1.85:1 too. After that, I was responsible for the entire selection of equipment. We used ARRI cameras, Cooke S4 lenses, Chapman dollies and a 50ft SuperTechnoCrane, all supplied via Panavision. I went with just one stock, Kodak Vision 3 5219 500ASA. It’s a fantastic grainless medium, with good latitude. I’m not sure why people choose different film stocks these days, as you can stop down enough in bright conditions or open up when it’s darker. Panalux supplied the lighting gear. "We used ARRI cameras, Cooke S4 lenses, Chapman dollies and a 50ft SuperTechnoCrane, all supplied via Panavision. I went with just one stock, Kodak Vision 3 5219 500ASA." Tell us about your crew? I love working with English crews, and my crew on Dark Shadows were fantastic. I never had a concern during the entire shoot. My gaffer was Chuck Finch, who I first worked with on Across The Universe in Liverpool, and then again with on Harry Potter. The key grip was Steve Ellingworth, who I also worked with on Potter. The camera operator, Des Wheelen, who has worked on several of Tim Burton’s movies, is the best I’ve ever worked with. 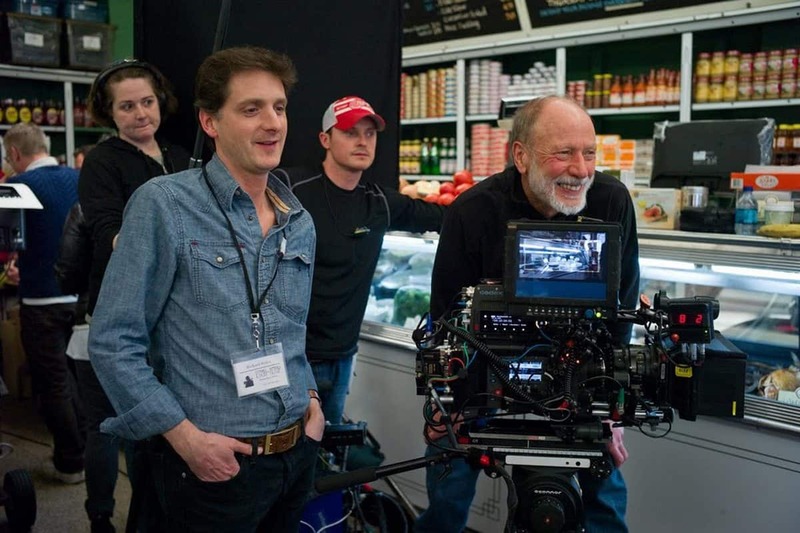 Julian Bucknall, the 1st AC, and Steadicam/B-cam operator Peter Cavaciuti did a great job too. Tell us about you approach to the lighting? On most of the other films I’ve lit, I’ve been able to shape the light in any way I liked. But on Dark Shadows, my main concern throughout the production was that, as Barnabas Collins is a vampire, he cannot walk in direct sunlight. Tim didn’t want to set the movie entirely at night, and had sequences written into the script where Barnabas walks around the house during daylight hours, but through the shadows and shade of course. So I had to create fill and ambient lighting set-ups that would pick up details of the set, like the dark wooden paneling on the three massive interiors sets we had, but with very few direct beams. I knew I could push the stock, and that would also help get around the need to have a massive amount of lighting. It was pretty intense and quite complicated, as ambient lighting is kind of dull, and shaping the light to make the set look alive and not like a soap opera, can be a bit tricky. So I worked with all sorts of combinations soft, indirect and bounce lighting. We used Dinos and 20K fresnels, which we diffused a lot with large cloths, and lots of spacelights. We did have some fun with sharp 20K beams, which the actors could see and knew to walk around them. Was the camera generally on a dolly, handheld or on a Steadicam? We moved the camera either on the dolly or on the crane. We used crane for practicality, rather than for the movement. The main set in the hallway of the manor house was huge, and on travelling shots it just meant we could go faster. Did you shoot at practical locations, on sets, or both? The vast majority of the movie was shot on sets at Pinewood, where we built the interiors of the manor house. We also used the water tank at Pinewood for the harbour scene. It’s one of the biggest and most impressive sets I’ve ever seen, about 400 yards wide. We had fishing boats on the water and a couple of streets, complete with canneries, to look like Maine. I used a massive amount of lighting for those scenes – several Wendy lights, six soft boxes with 12 space lights in each, and eight cranes to suspend them all – and I’m sure they hate me because of the large electricity bill. For the exteriors of the manor house, Rick Heinrichs built the ground floor at Bourne Woods, near Farnham. We also used some of the nearby woods for the forest scenes – it’s the same place that John Mathieson shot on Robin Hood. We used Beckenham Place Park, in Kent, for a couple of scenes in a mental institution. The main forest scenes and the MacDonald construction site were shot in Crowthorne, Wokingham. Always. The risk is that I never try to do the same thing twice. Amelie, Potter, Faust, Dark Shadows, the new Coen Bothers’ film – they are all different from one another. I could rely on something, a technique, I know, but that’s not my way of thinking. How can I make the next movie different? That’s the risk! How did you work with Tim Burton on set? Generally, at the start of the day, Tim would talk to the actors on set about what he was expecting. Then we would clear the set completely, and Tim, myself and Des Wheelan would block the first three or four shots scene. We sort of storyboarded on the spot, on the day. Tim would then go back to his trailer and we’d call him when we were ready to go. During filming Tim would be either with me, or the actors. We would review takes on monitors in the video village, which in this case was a black tent, with just Tim, me and Katterli Frauenfelder the first AD. The final results look visually arresting, but there’s only so much you can achieve on set. How did you arrive at this distinctive look? I worked very closely with the DI Peter Doyle, the DI grader in pre-production, during production on the dailies. He’s a genius too, and my left arm. He graded Harry Potter And The Half-Blood Prince and Faust for me, and is also now grading the Coen’s Inside Llewyn Davis. 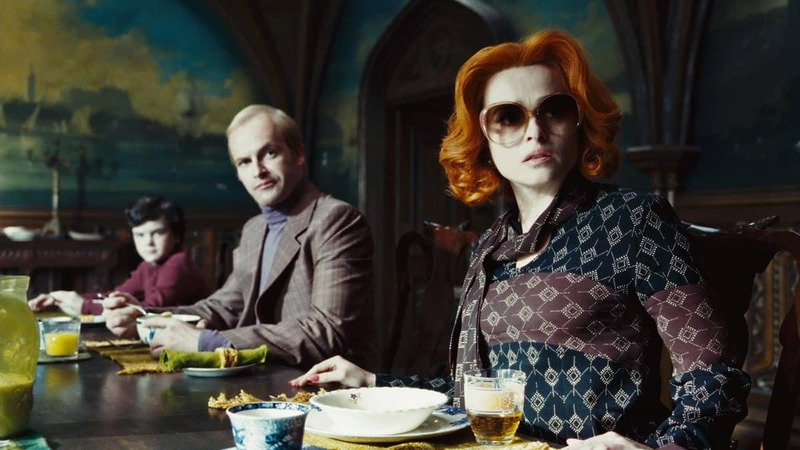 We discussed references, talked a lot about the artistic aspects rather than the technical, and locked the look on Dark Shadows at an early stage. In pre-production on Dark Shadows, Peter created LUT software that could take what I had shot on set, and move the pictures a long way towards emulating the Technicolor 2-strip process. With this, it’s as though you are emphasising certain colours in a desaturated work. You get pure and strong red, green and blue colours, but everything else is muted and desturated, particularly the skin tones. For example, you see Eve Green (Angelique) in a shiny, shock-red dress, but her skin is very pale, and there’s still detail of things like the brown wooden panelling in the background. The overall look is attractive and fits the set and the story, I hope. I think the most interesting thing with Peter, is that we don’t do any windows anymore. We used the DI as we would use a lab process. We changed some of the curves of the neg, we changed some midtone colours without touching the others. But what you see on screen is the light I did on set. Typically, I would grade the HD dailies with Peter at Technicolor at Pinewood, between six and seven every morning, and then go to the set. Tim would then watch the dailies alone with Chris Lebenzon, the editor. He likes to keep the editing a very private process. After the shoot, Peter has worked closely with Tim on the grade, and I have held a number of remote, projected grading sessions with Peter – with me in New York, and him at Technicolor in Soho. Peter is coming to Technicolor New York, and we’ll complete the final grade for Tim. Were there any happy accidents, unexpected things that worked out well? Yes. There’s a scene early in the movie when Barnabas steps out of his coffin after 200 years, and walks through the forest at night to the manor house. Although I had Wendy lights, they didn’t really penetrate the foliage. When I checked my light meter it didn’t move, and thought “My God, I’m fucked!”. As we were shooting in June, I worked with the remains of the daylight, and crossed my fingers. But the results look beautiful. You can barely see anything, there are no highlights, just the shapes of the trees and the actor moving through the trees. It’s really spooky and eerie, and exactly the result I wanted. It was definitely a happy accident.